Here’s a fun one for the person on your holiday gift list who is over the age of 8 and likes to put together mazes and build things. 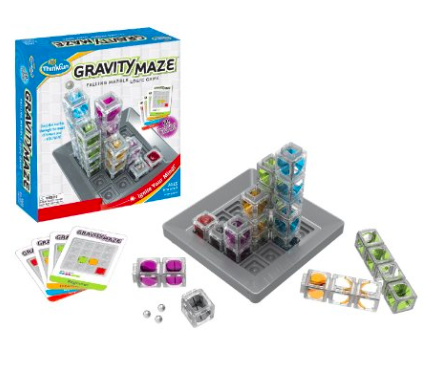 Gravity Maze ($29.95, Amazon) is a new game from Think Fun that’s a good one for the budding engineer. Game play involves using logic to put together a marble run. You can follow cards that are provided or make your own. I’ll be adding this one to the Hot Holiday Toy list for 2014 because it’s a good family all play!